In October our second son became the first child to fly the nest as he packed his bags and text books and headed off for three years to read law at Keble College Oxford. 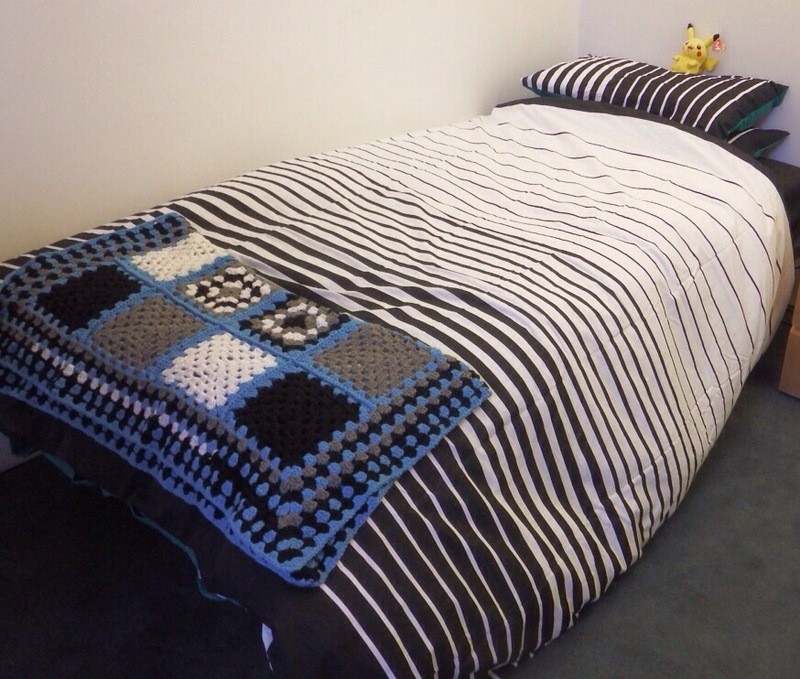 With my new found passion for crochet in 10 days I made him this granny square throw for the end of his bed in Nepal wool – grey, black white and blue. I made some squares self coloured, some only two colours, some three, all edged in a lovely turquoise blue, which looked very neat when stitching up. 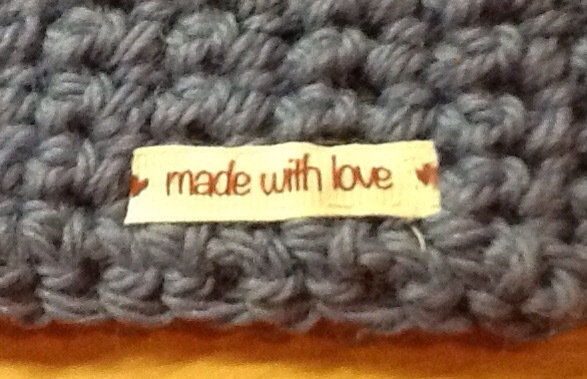 Once all joined together I stitched a border of the different colours until I ran out of wool- and time. I hope he was as pleased with it as I was. A little piece of love from home to bring comfort and warmth when you head off to plough your own furrow in a new field! This entry was posted in craft and tagged crochet, granny squares, nepal wool, Oxford. Bookmark the permalink. ← What is your grá?